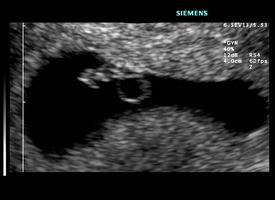 A Blighted Ovum ioccurs at the very first stages of pregnancy, ending in a miscarriage. The sac contains liquid, but no embryo cells when the miscarriage occurs. Usually a miscarriage occurs before the woman knows she is pregnant. You may experience a late menstrual period, with small stomach cramps, mild bleeding and perhaps even a positive pregnancy test. As with normal menstruation, the placenta and the sac are ejected in the form of a somewhat more severe menstrual period. Many women assume that their pregnancy is proceeding according to plan because the value of their HCG pregnancy hormone increases. The placenta increases in size and can maintain itself for a short while without a baby. 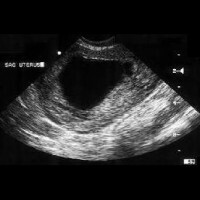 A diagnosis is usually only made after a scan has been created showing an empty sac or uterus. A blighted ovum is the cause of about 50% of all miscarriages in the first trimester and is usually the result of chromosomal problems. The body of the woman recognizes these abnormal chromosomes in the fetus and attempts to break the pregnancy naturally because it will not grow into a normal healthy baby. It may be due to wrong cell division or a bad oocyte or sperm cell.